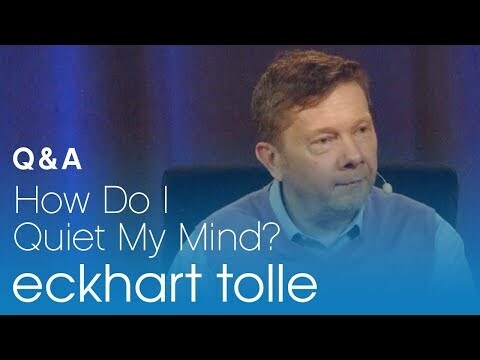 As Eckhart teaches us, in the ancient spiritual philosophy of India, there’s a term called ‘turiya’ which refers to the fourth state of consciousness. The first state of consciousness is the waking state we all know, while the second and third are the dream state and dreamless sleep. The fourth state of consciousness is thoughtless awareness. You can bring true perspective and balance into your life by moving towards this fourth state. When you think, feel, perceive, and experience, consciousness is born into form. It is reincarnating—into a thought, a feeling, a sense perception, an experience. The cycle of rebirths that Buddhists hope to get out of eventually is happening continuously, and it is only at this moment—through the power of Now—that you can get out of it. Through complete acceptance of the form of the Now, you become internally aligned with space, which is the essence of Now. Through acceptance, you become spacious inside. Aligned with space instead of form: That brings true perspective and balance into your life. Throughout the day, there is a continuously changing succession of things that you see and hear. In the first moment of seeing something or hearing a sound—and more so if it is unfamiliar—before the mind names or interprets what you see or hear, there is usually a gap of alert attention in which the perception occurs. That is the inner space. Its duration differs from person to person. It is easy to miss because in many people those spaces are extremely short, perhaps only a second or less. 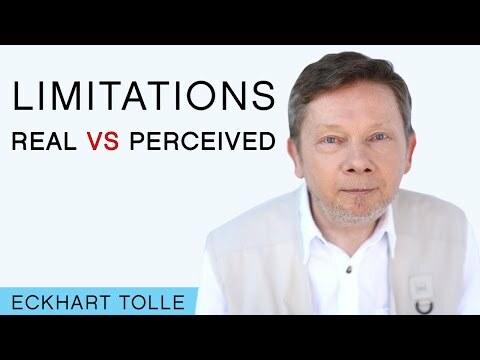 This is what happens: A new sight or sound arises, and in the first moment of perception, there is a brief cessation in the habitual stream of thinking. Consciousness is diverted away from thought because it is required for sense perception. A very unusual sight or sound may leave you “speechless”— even inside, that is to say, bring about a longer gap. When you become conscious of these brief spaces as they happen naturally, they will lengthen, and as they do, you will experience with increasing frequency the joy of perceiving with little or no interference of thinking. The world around you then feels fresh, new, and alive. The more you perceive life through a mental screen of abstraction and conceptualization, the more lifeless and flat the world around you becomes.